Freshman Emily Clemens, former first team all-american, will play her first college vollyball game on Friday August 30th against Maryland. Shortly before her high school championship game, freshman setter Emily Clemens received news that she was named one of the Top 24 players in the country, selected as a first-team Under Armour All-American. 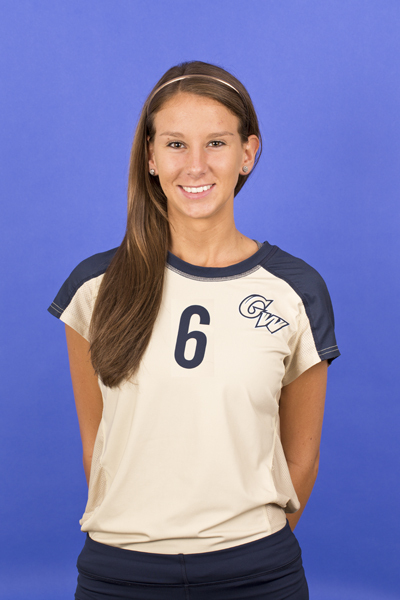 Now, the 5-foot-11-inch setter out of Lindenhurst, N.Y., who started on her high school varsity team for five years, is one of GW’s best recruits in program history. Clemens is a complete player, and a key piece to the Colonials’ success this season, said women’s volleyball head coach Amanda Ault. Less than a year ago, though, Clemens was an unlikely candidate to even suit up in a GW uniform. For most heavily recruited high school athletes, decisions are made about their collegiate futures by the start of their senior year. Clemens was unique, holding out to make sure she found her best college fit. 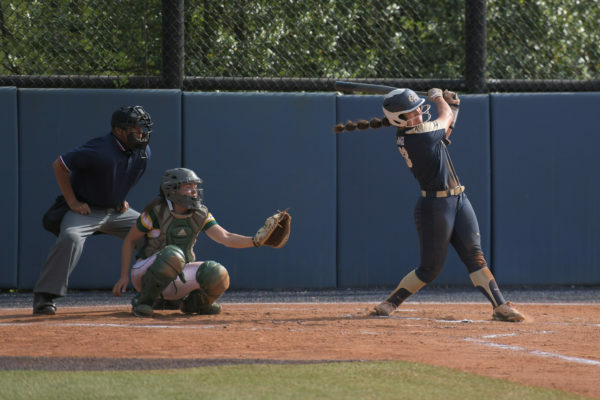 Ault, who initially passed on aggressively recruiting Clemens in 2012, was surprised to find a still-uncommitted Clemens at the end of her senior season. One of the things that drew Ault to again seek out Clemens was her switch from setter – a position she had played the last four years – to outside-hitter her senior year. Moving to the outside-hitter position is no easy task, but Clemens agreed without hesitation. On the pin, Clemens led her team to a 15-4 record and an appearance at the Suffolk County championship game, which her team lost in the fifth and final set by just two points. By the end of the process, Clemens had narrowed it down to five schools: Winthrop, Towson, George Mason, Virginia Commonwealth and GW. Ultimately for Clemens, the combination of the Foggy Bottom area, GW’s academic stature and up-and-coming women’s volleyball program led her to choose GW in the middle of her club volleyball season. Although Clemens has yet to play a match for the Colonials – who are still preparing for Friday’s season opener against Maryland – she has already impressed the coaching staff with her ability and versatility, showcasing that on the court during the Buff and Blue scrimmage last Saturday. During a timeout, senior middle blocker Jamie Armstrong stepped up to lead the huddle and address the team’s lack of rhythm. Clemens, too, offered advice and encouragement to her teammates, who showed her the same respect as they did Armstrong. It’s a leadership role that Clemens naturally inhabits, Ault said. Already an outstanding player in her own right, Clemens will need to adjust to the quicker pace of the collegiate level. Those changes start with hard work on the little things, such as feet alignment and hand position. 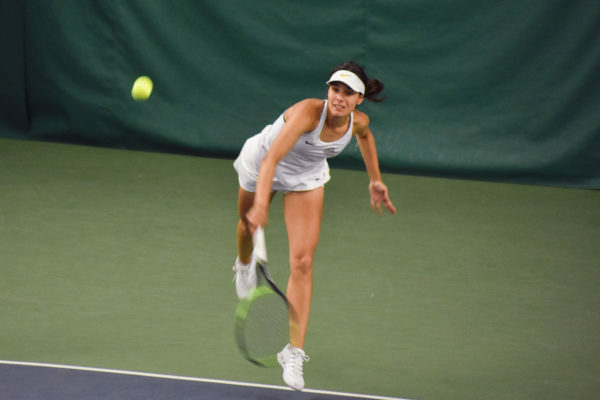 Clemens is a natural talent, Ault said, and has a high volleyball IQ on the court, allowing her to make plays on the floor that leave one wondering how she accomplished them.